30 years ago, I like many other young children and many an adult, was enthralled with The Box of Delights on BBC1. It is a delightful telling of the classic story of the same name by John Masefield and is set in the 1930’s and tells the story of a 12 year old boy Kay Harker who is returning from boarding school when he finds himself mixed up in a battle to possess a magical box. It allows the owner to shrink in size, to fly swiftly, to go into the past and to experience the magical wonders contained within the box. The current owner of the box is an old Punch and Judy man called Cole Hawlings whom Kay meets at the railway station. They develop an instant rapport which leads Cole to confide that he is being chased by a magician called Abner Brown and his gang, which includes Kay’s former governess. For safety, Cole (who turns out to be a medieval philosopher/magician, Ramon Lully) entrusts the box to Kay. The schoolboy then goes on to have many adventures as he protects the box from those who wish to use it for bad deeds all against the backdrop of Christmas. 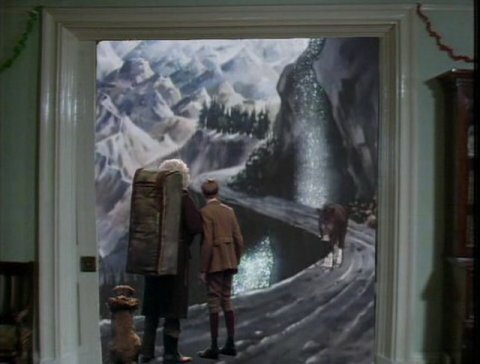 The Box of Delights combined a classic tale with digital animation and also the intermix of live action with animation. It was the most expensive TV series of its time and is one of the last cases of childrens TV actually telling a story with real actors and a believable, intriguing setting rather than some cheap comedy or treating children as either idiots or celebrity obsessed mini-adults. 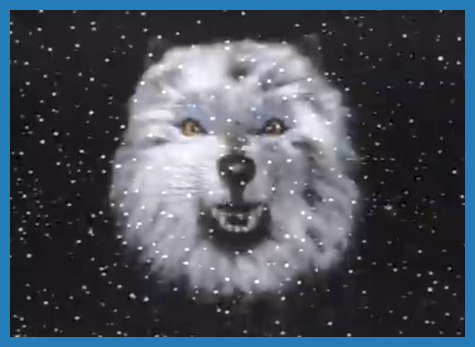 It was also one of the first to make extensive use of digital special effects which though now are dated, at times still do a great deal to enhance the story. 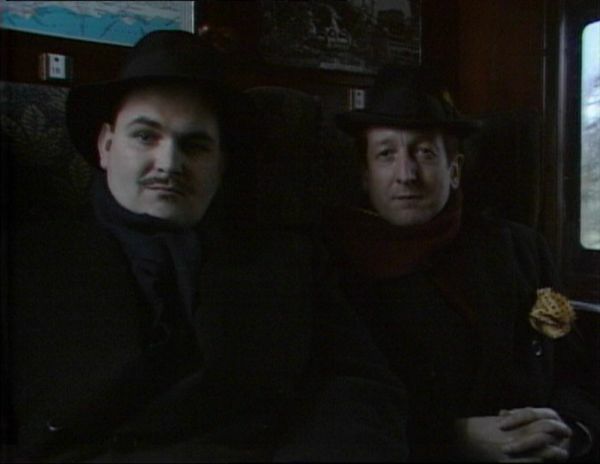 Strangers on a train in cahoots with a tyrannical priest all looking for a mysterious and powerful box of delights. The Box of Delights is such a seasonal show and it starts of with its magical opening title sequence and music introduction, slightly menacing and scary which unfolds into the familiar First Noel Christmas Carol. At the time it seemed like the whole country watched The Box of Delights and it was repeated once or twice soon after but hasn’t been shown for at least 20 years. Last year I found it was now available from DVD and purchased it and was instantly transported back in time. The fact it has over 220 5 star reviews on Amazon for what is a rarely seen 30 year old childrens mini-series is testament to what a great show it is and what an impact it made on those who watched it. It helps that that the story is rather complex and the audience isn’t talked down to. It has some remarkable actors including Patrick Troughton who was the Second Dr. Who and the ever talented Robert Stephens. There an ominous jet planes, rat men and an ethereal element of times past including Herne The Hunter, ancient Greek soldiers and an extremely old punch and judy man. Somehow despite all this, it somehow seems the to be the most Christmassy television series of them all and a welcome tonic to the current brash and trash TV for adults, let alone children. I must make time to watch The Box of Delights before Christmas. For those of you who want to relive the good old days or for those curious just what on earth I have been going on about, feast your eyes on the intro titles below. A magical recording of the opening title music is included in the 2002 release of A Carol Symphony by Victor Hely-Hutchinson of the Prague Philamonic with the track 8 being the one to download. This entry was posted in Popular Culture, television, writing and tagged BBC, children, Christmas, Dr Who, John Masefield, Kay Harker, nostalgia, Patrick Troughton, television, The Box of Delights. Bookmark the permalink. I’m so surprised I didn’t see any repeats of this as a child. I loved the Lion The With And The Wardrobe and Wizard of Oz 2 but must of been too young to catch this. It sounds wonderful. It is in a very similar vein to both of those stories. I really recommend getting it on Amazon, I think it is only £4 or £5. Merry Christmas! Stephen, I’ve never heard of this program. I’ll have to look into it! It looks pretty cool, and I like the fact that there is some storytelling happening with it! Best wishes for a Merry Christmas, Stephen! Hi Amy, it is well worth watching. It has a very good story and based on a very popular novel which probably helps. I can’t recommend it enough. Merry Christmas to you and your family Amy! Merry Christmas to you too Mary.